James Raymer (Editor), Frans Wiilekens (Co-Editor) 2008. International Migration in Europe: Data, Models and Estimates, Wiley, ISBN: 978-0-470-03233-6. Acs, Z. and Stough, R.R. (Eds. ), 2008. 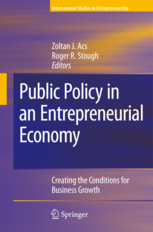 Public Policy in an Entrepreneurial Economy. Springer, Heidelburg, Germany. ‘Networked Disease: Emerging Infections in the Global City’ by S. Harris Ali (Editor), Roger Keil (Editor) September 2008, Paperback, Wiley-Blackwell.